Jubilee Project’s viral videos have raised over $28,000 for nonprofits. Eddie Lee, founder of The Jubilee Project, at home in Washington, DC. Photographs by Les Talusan. Whether to fundraise, bring awareness to the rescue of North Korean refugees or help build the first secondary school in Lenana, Kenya, Eddie Lee knows how to make viral videos that captivate the public. The 25-year-old Kansas native is the co-founder of a nonprofit video production group called The Jubilee Project, which produces videos to raise awareness and funds for nonprofit organizations and worthwhile causes. Sponsors pledge to donate a set amount each time a video is viewed; the average pledge is about 5 cents per view but can go as high as 58 cents per view (the pledge for a video benefiting a microfinance organization for women survivors of the Liberian civil war). Lee formed the nonprofit with his brother Jason and friend Eric Lu in the aftermath of the Haiti earthquake, out of a wish to do anything they could to contribute to relief efforts. In the past year, they have produced over 40 short fundraiser videos that have been viewed over 1 million times, garnering over $28,000 for various global nonprofit organizations. 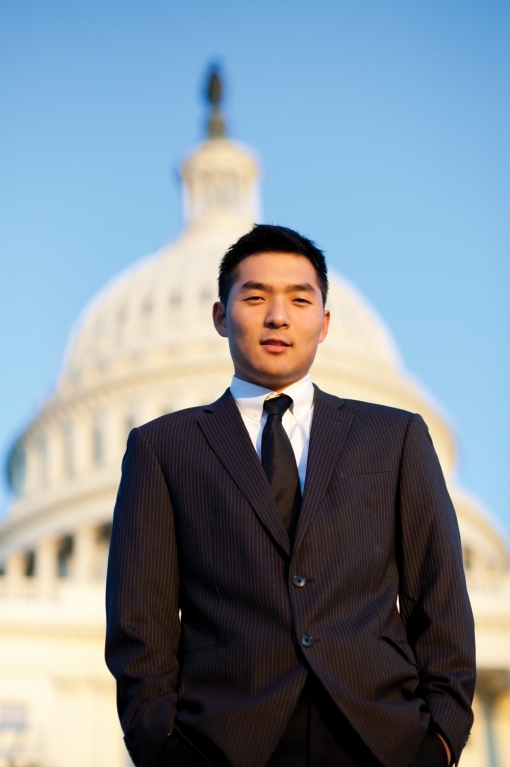 Lee graduated in 2009 from Harvard with a Bachelor of Arts degree in government and economics. As for his day job, he has recently been promoted from his position as social media producer for the US Department of Education. Beginning in October, he’ll be working at the Office of Public Engagement on the White House Initiative on Asian Americans and Pacific Islanders. He shares with Hyphen how his mom got him into social media, what it is like to work with President Obama and what he won’t do for his videos. How did you get into making videos? 2007 while interning for the Barack Obama presidential campaign. turn down this great opportunity to be a part of American history. fell in love with the power of video. it like to travel with him? make leadership in the AAPI community my calling. decide which organizations to help? and how much of an impact we can really make within them. audience and what would work best. How did you get your start in social media? and posting pictures, and on Twitter before we even were! friends! She is where we get all that creative energy from. Who are some Asian American social media stars that you admire? for her art is very inspiring. What future projects are in store for The Jubilee Project? voices of change in their community? on YouTube. Social media has the power to make a difference. won’t do for your videos? of soju to make possible! Angela Pang is a Hyphen contributing writer.